About | Madstoffa's crunchy house! It’s now 02/11/15 and I am a little fitter and less forlorn. I have been published in paper nine times: seven poems and two shorts. I also have a new title: Pop-pop! Since his arrival, my beauuuuutiful grandson, Dexter, names me thus. I am also up to 107,000 words on Merlin Awakes and finishing final editing. The star date is 05/12/13. Me and my many personas have crash landed on the planet CpSingleton. A blog world. If you are reading this then wrap up tightly, you have to and you may experience almost all of the levels of the human condition. The posts switch frenetically from the philosophic to the surreal in the clicking of a mouse. If you enjoy, feel free to express your interest. If you don’t enjoy the latter still applies. I can take it!! Promise. I am a – not so young – writer of poetry and prose. I have four children: two wonderful girls, a fantastic lad and Leeds United. I have no strict genre. I write children’s poetry and stories, to edgy, stronger themes. Up to now I have stored them for my own and my family’s viewing, under the bed where the demon watches over them with dark, sinister eyes and talons sharper than an art teacher’s tongues. Last year i thought bugger it and starred in several short films. One, Playground, which is on the BBC Film Network, used the monologue that I wrote for the audition. You should’ve seen the face of the receptionist, of the Manchester hotel, where the audition was being held, as I turned up dressed as the psychopath, Gordon. It got the desired effect! I then moved up to Cumbria and wrote and appeared in several live performances on stage. 2012. A local artist, Kayleigh Richardson, commissioned me to write a poem for her to paint a representation. I sent her, The Rise of the Robot Monkey Army. Kayleigh painted a fantastic piece that blew my mind! From that we are collaborating on the Jacob Bear series of stories. Three are published on Kindle, with another out soon. I have published three “older people” stories: Two’s Company, the treacle Rush, Can Paradise Wait? A family fantasy/humour: The Rise of the Sponge Cake Moon. And a collection of nonsense poems and stories called: Space Here! Oh and Two’s Company has been published, along with seventeen other Sci Fi short stories as part of a collection: End It! Update! Life Before World’s End, a unique collection of poems and statuses that reflect the triumphs and setbacks of getting through the other side of a breakdown, is out on Kindle. Not a bad start to the, so called, last year of the Earth. Now is the time to show the rest of you. I take my themes wherever i see them, whether in reality or dream-world. I hope you enjoy. If not tell me why. If so tell me why. Many thanks and be safe. I am also very probably alien by birth. But, don’t worry I don’t probe people. I consider that very rude. © C.p.Singleton, 2012. Unauthorized use and/or duplication of this material without express and written permission from this blog’s author and/or owner is strictly prohibited. I don’t believe in sitting on my hands…anymore. 😉 No problems it looks great! It took me long enough to work it out! hahaha. awwww! that couldn’t please more! keep in touch! SoundEagle agrees with andy1076, and would like to wish you even greater successes and more achievements in your future publications, regardless of the genres and intended readers. May you also find other posts and pages interesting. Please enjoy! I will check all that out. Thanks for checking out What’s Broken. I’m impressed with all the work you’ve done. Part of being an artist requires flexibility, networking, and good luck besides talent. You seem to have that and more! apart from that luck business! need a smidgeon of that lovely stuff!! Thank you for dropping by. Looking forward to getting into yours! Being ‘published’ sounds awe inspiring to me. I loved teaching children to write and was pleased when I became a headteacher that I could finally change the emphasis of the curriculum in my school to encourage children to write at length each week. The school rose through the ranks according to Ofsted, so writing must be good for you! Thanks for following my blog. I was invited to a couple of primary schools in Cumbria last year and had a great time writing nonsense poetry, Q & A and reading. The kids were so enthusiastic to have someone different in. I wished that i had had something similar when I was little. It is lovely to speak to someone who seems to genuinely care about the kids! Well done! And thank you in advance from the kids. We remember the ones that care. I just discovered that you are following my blog – “A Way With Words”. I appreciate that you have been drawn into my corner of the blogosphere and that you have hung around long enough to read my work (and evidently enjoy what you’ve read). I will be following your blog as well. Perhaps we can sit down with a virtual cup of coffee and scones some day and wallow in our mutual literary geniuses (or would it be geneses? Genesis?) You get the idea. Many thanks. I too have several books on Kindle and when they are free will extend the same courtesy. Thank you so much for visiting and following my blog, it means a great deal to me. I also have a sibling site to Beyond The Cracked Window titled Through The Cracked Window which together form a before and after personal perspective. Your site is fascinating and I will be reading some of your published work, (congratulations on having them published). Thanks for the congrats. I hope to have another two published soon. Take care and nice to virtually meet you. We are all beginners. My blog is only 13 months old. Thank you for stopping by. I hope you will not mind, I nominated you for for The Liebster Award> http://skyvani.wordpress.com/2013/04/21/417/ . I like your blog, I think you deserve it. REALLY!!? I am flabergasted! I’m flibberbungled!! Bless ya lovely socks! Thank you very much! I am very honoured!! Chris! Have you seen this? Sounds like crazy spontaneous creativity erupting into youtube! I thought of the way Space Face is taking off, and how it may fit with this sort of endeavour. Sound interesting to you? Thank you that was a lovely thing to say. Interesting profile picture. The photographer must have been a midget, because the tiny fool missed your top half! Look forward to swapping ideas. So happy for you and all that you have going on! You definitely have this writing thing down. 🙂 God bless! The pleasure’s mine. Looking forward to reading more. Ditto. Thank you for your kind comments. I’m sure I will. Hope you enjoy mine too! my pleasure!! and thank you!! Thank you! I am also looking forward to delving through yours. LOVE IT! Thank you for stopping by and following, I am honoured. The honour was all mine. Looking forward to seeing more! Youth has its advantages, age, its ability to see through those advantages. Welcome to the club of those of us marching to the crest of the hill, as you are, or down the other side, as I am. And, thanks for dropping by my blog site. Good luck to what appears a rising moon in your favor. Interested in your short stories. Published my own collection, Through the Glass Darkly, on Amazon last year, and working to sift through my poetry for a second collection I’ll entitle “Slices,” which — if you comment on one or two, I’ll send you a copy gratis. You have to say “Include this in Slices” somewhere in the comment. Will happily read your work and comment, with or without a free book. Thank you anyway. Talking of free books, Space Here! is free for the next few days. Please take a look and comment. Love the title, Through the Glass Darkly!! Will definitely check that out. Thanks for your time and good luck with your projects. Thanks so much for following. All the best with the many strands of your work – it sounds like things are going well! Anytime! Not getting there yet, but hopefully I’ve cleared the thistles for the new path. Take care! Thanks for stopping by “What’s The Good Word?” and for following. I am enjoying your creativity! blessings to you! Ditto!! thank you for the kind thoughts. Hope all is well in your world. You don’t appear an idiot but you do exude heart. Thanks for the like. Awwww! That’s about the nicest thing anyone has ever said! Thanks, lovely person!! I appreciate your following my Act Like You Mean Business blog and I welcome you to (re)join me in its new location at http://www.RobBiesenbach.com/blog. Today’s post is on Josh Whedon’s inspiring approach to the writing process. Thank you! Bless yer lovely socks! I am glad I followed you because you appear to be a lovely human being! look forward to scampering through your site! thank you!! Thank you very much for liking my poem ‘clarity’. I look forward to reading your prose and poetry. Thanks again. My utter pleasure! Thanks in advance! Gosh I feel exhausted reading what you have been up to! Thanks for liking ‘At Bradley’s Meadow’ and following my blog, I look forward to reading more and now follow you too! Thanks for dropping by!! Hope you see something you like. Thank you for stopping by my blog and even moreso the follow. Hope you don’t mind the occasional wrath of a southern girl’s foul mouth; other than that….WELCOME! As well, I’d like to return the favor and follow back. Again.. thanks! There’s nothing finer than Southern lady successfully venting spleen! A big thank you from a Northerner! Us Yorkshire folk are also known for our bluntness. Nice to meet you, lovely lady. Thanks for your follow of my blog, I appreciate it! Wishing you a truly fulfilling writing career! My pleasure! Lovely blog. You too. Thank you kind sir! Right back at ya! Thank you so much for joining us at wePoets! we are happy to have you on this journey. We would love to showcase anything you would like to share! Btw. If you see anything you like reblog-away! and our themes page explains it further. I have to talk to my partner in crime, about reblogs, as we go by submissions in the order they come in. Thank you for the offer though! any time!! I will be back! loved your blog!! almost as much as I love the exclamation mark!! lol take care!! Why thank you kind blogger friend!! I’m certain, if we share the same sense of humour, that I will find something to electrify my giggle bones!! look forward to finding out! take care! Hi cpsingleton42. Thank you so much for liking my poem ‘ Feral Cats!’ And for wanting to follow my poetry adventures. I write for pleasure and to keep me sane. You seem to have done amazingly. I feel humble that you like my creations. Best Wishes. The Foureyed Poet. Bless you, I’m still trying. We are all in this race together. Thank you for finding and following my blog. I can’t wait to explore yours. And good for you for not giving up and plunging forward! Thanks for the like and the follow!! and I yours!! good luck with your work!! Take care of you and yours!! Bless you fine blog friend. Looking forward to reading more. I will be soon back with writing. I am going through some exams, that’s why I am not into writing here from last some days! I lived in Leeds for two years while studying to be a zoologist…this I failed, but it appears that I’ve eventually found you. How can one fail to pass Zoology in Leeds! Just stand outside Queens hotel at 2am! Write Thesis. BOSH! Get hit in tummy region by a raving loony for writing said thesis on pavement. Also, not to dampen your fried potatoes, but I found you! I fear I was not clear; I passed my Zoology degree, I just never carried on to became a zoologist; but I did get my nose broken in Millennium Square…swings and roundabouts. You found me…or someone told you to come here? Was it broken by a zebra? They can be quite vindictive, despite their calm, two-tone exterior. I found you via a brown bear named Wallace, but it was still my choice! I had to walk through the door. And it broke my nose! Doors and Zebras are not to be trifled with. ‘Twas nothing quite so intelligent as a zebra, although I must confess I brought it on myself. I don’t of course think that this then negates your point about not trifling with zebras…a zebra brandishing a door is one of the most frightening things known to mankind; and a zebra holding a louvre door, is like a ninja. Thank you so much for reading my posts and following my blog. I’ll be sure to keep an eye on your blog too. my pleasure and thank you toooooo!! The mere thought of a Zebra brandishing a louvre door is not only frightening but ridiculously funny! Although please do not pass my amusement to your African equid pals. One I can avoid, by running downstairs, several band together to form a deranged barber-shop quartet and will sing me out into the open!! Thanks for the recent blog follow. It led me to your blog, which I am now following. no! thank you! loved your blog!! I do hope so!! Fanks!! Dang, sir, you are one prolific papa (in the literary sense, not the biological sense). Thanks for the follow! So glad to have found your blog, you have crafted some beautiful work! Looking forward to following and reading more. Awwww! I am so touched by your kind words!! Thank youuuuu!! I hope I can keep your attention. Hey. Cool blog! It’s always great to read about other people’s travelling experiences. On our website we normally publish stories and articles about hitch-hiking and travelling so if you any story you would like to be seen by a wider audience (with a link to your blog of course). This is how we do it: http://hitchhikershandbook.com/your-contributions/travel-stories/ Drop us a line if you are interested. Glad to find you .You have an interesting blog.I will look at your archives when I find time.Looking forward to read more from you !!! !Cheers !!! fANKS!! Hope you find something you enjoy reading! Nice to meet you! Why, fanks kind new blog friend!! You are most kind! Love your blog! Can’t wait to read your work. Hahaha, you even say ‘fanks’ the way I do!! Awesome. (yeah, I get bowled over the little things people do! )… wow, thank you for the wonderful and most generous compliment about my blog! Flattery will get you a few likes on yours too!! (kidding..!!! ) I am really really looking forward to delving into your work too 🙂 Huge thanks for dropping by!! Thank you so much for the follow. :D. I look forward to reading more of you. You are very welcome! Ditto!! Just wanted to say thanks for following Thoughts and Sundry Things! Cheers! Thanks for stopping by and “Liking” my post “Shattered Glass”. It lovely to meet you, Anastasia! Look forward to reading more of your great work! I’m delighted. As I too look forward to your postings. It was easy to like! It’s great!! No Fank you! Really enjoy your work! We shall start by being blog pals and one may never know: one day while we are signing our books or on the TV we will look across and say hi in person!! Really glad you enjoy! I will have to finish Bram Stoker’s Spatula now! Take care new blog friend! I think it definitely works both ways. Take care of you and yours. Hey – pssst! C.p! There is a showcase at wePoets of SpaceFace! I am laughing all over again! My guides have just called and have demanded we do more!! Haha – I get that feeling every time I see it, and laugh my head off! I’m still working my way through the Crush It With Kindle book by John Tighe. He knows how to sell Kindle books! Perhaps it could be of help in selling yours? Thanks for Liking “Put a tail on it and call it a weasel” on “APhoenixInCode”! I’ve nominated you for the Shaun’y Award for Blogging Excellence. 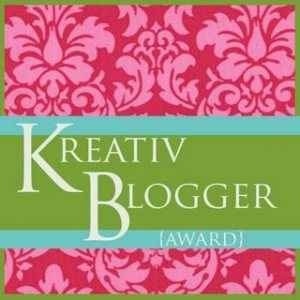 Check out the page here: http://lilmisspoutinessegues.wordpress.com/awards/ and thanks for being an inspiration to me! Bless ya! That is very kind!! My hopes and wishes flow your way. Thank you for liking my post. How did you start the process of putting your books together? Did you self-publish? No problem. Pleasure was all mine!! I published via kindle. Very easy to do, but to be honest I haven’t had a great deal of luck selling, so always looking for other ways. Hi. Where can I take a look at “The Rise of the Robot Monkey Army” and its artwork? I love the title. Thank you for popping round! I have reblogged The Rise of the Robot Monkey Army just for you. Hope 2014 is great for you!! I dig the new blog theme! Easy to dive into your work in an orderly fashion… And don’t take that as motivation to change it up! Good call. Why doth wordpress hide the decent blogs so deep!? CP, all power to your elbow, and thanks for the like! no probs! and to yours! Thanks for liking my blog and following! Yours looks interesting – looks like you do a lot of writing-type stuff. Following back. my pleasure! and may mine do the same for you, dear lady! I love all the Prose and Poetry with all the Idiotic tale you try to tell, fine jokes apart Love your work in Blogosphere so have nominated you for Sunshine Award, Please oblige and keep doing the Good work and Share with all the world. Awwww! That’s very kind of you!! This idiot will carry on!! FANKS!! I shall pop on by! Take care and good luck for 2014! Thank you for stumbling onto my blog and helping me to discover yours! Coming across your writing and self-description has so far been both an inspiring and validating experience. Looking forward to further reading!!!! The pleasure is definitely more mine! Love your work!! Keep in touch and hope this year brings every thing you need! Enjoying what I’ve read so far. Thanks for the follow. First off thanks for stopping by my crazy un paid blog. So a poet, a writer of prose, an actor and an idiot. How do you manage to juggle all those things is something I´ll have to read about. I like the diversity of the blog. You got yourself a new stalker. Firstly: FANKS!! Mine too is un-paid. Unfortunately. I fank you for the follow and look forward to reading your work. Fank you to you too. Nice I met your blog. Thanks for the like and sub! I see you have some knowledge of the children’s genre. Perhaps you and I could be of some assistance to one another there. I have actually been looking for some people to “workshop” content with on my first children’s book (which will become a series). It won an award from my uni, but I want to be sure it’s good enough to acquire a publishing agent before I send it out/pitch it. If you’re down to read it and provide some feedback/criticism (both content and copy), then I would be willing to do the same for your pieces in the future. Comment me back if you’re interested and we could exchange emails (unless my thing already allows you to email me, in which case, go right ahead). It would be my pleasurererer. Not sure what advice i can offer of worth, but I am there if needed! Thanks for following my blog, Though I Fall! It was my first “follow” and I am grateful for it. By the way, I love your tag: “PART TIME ACTOR, ASPIRING WRITER OF POETRY AND PROSE AND FULL-TIME IDIOT WITH A HEART.” Especially the “full-time idiot with a heart”. It speaks to me somehow…8^). Yeah!! I’m número one! Good luck with your blog and enjoy!! I’m looking forward to reading some of your blogs. Today I want to say thank you for following Yarrowhouse. My pleasure!! Fanks to you! Especially when you compare your gift! Hi there – thanks for following my blog! I’m rather new to poetry, so am learning a lot by perusing your blog. Love the Haiku – I might try it out! If you’re on Facebook, check out the Blackjack Poets page. Three lines of seven syllables each to add up to twenty-one. It’s fun and silly. and fanks and glad you enjoy! Don’t go on FB that much, but will check out the suggested page. Hope all is well in your world. Your thoughts and style render classicism to your poetry. WOW! that is very kind of you to say! Not a patch on your brilliant work!! The pleasure was completely mine. Great blog! Fanks!! Glad it struck a chord!! FANKS!!! Those be very kind words! Ones that ironically inspire me to carry on! Many FANKS AND BLESSINGS!! I am honored that you responded positively to my blog. I look forward to reading more of yours. It was a pleasure to read! Keep on at it my new blog friend! What a wonderful, wacky, whimsical, wow mind you’ve got there or is it here. I’m glad you’re older. I am too. I just started blogging a few weeks ago. I’ve always adored strange little poems and stories. Your thinking process reminds me of a little book I purchased back in1978 called Fold a Banana. I’ll visit back here for more of this unpredictable ride. Thank you for sharing your abounding talents and stories and poetry and…………. Awwww! What a wonderful comment! I look forward to reading yours! Fanks AnneMarie! Take care of you and yours!! Love your “ABOUT” It’s great to be disciplined about your frenetic ‘ captures ‘ Im like that. It’s almost like Poetic, creative,,Attention Deficit Disorder for me. . . So much to share all at once before the meat burns and the Macaroni overboils,while the ice cream melts, which is why I eat it first, or between it usually turns out to be.Life! What’s not to be inspired by? Exactly! Whether good, bad or plain daft (which pretty much covers politics) there is always something to say! Fanks for saying hi! It’s good to meet you! Hello there. I just wanted to drop by and thank you for following my blog. I also want to wish you the best of luck in your blogging. P.S. – I really enjoy your poetry. And a big FANK YOU! Right back at ya! Hello – Thanks for visiting my blog and “liking” my poem. Always happy to meet a fellow poet and writer, especially one with an interest in children’s writing. Best wishes! My pleasure! Hope the world finds you smiling brightly. Absolutely my pleasure! All the best to you and yours! And a nice piece of cake! Very important that! Take care of you and yours!? Claustrophobia won’t let me allow walls of any sort to grow around me, especially when learning to write. I hope I have a reasonably decent voice to cover most subjects. Great bloggers, such as yourself keep inspiring new routes. FANKS for that!! Me, inspirational? Nah. I do appreciate the follow from a real inspirational blogger though! FANKS! What a great place to grab a coffee and sit for a while. Your energy is contagious. Thanks for dropping by to visit over at Willy Nilly and deciding to follow along with the madness. You left directions on how to find you here and, of course, I had to come see for myself. Gobsmackingly delightful abounds here. Hope you don’t mind if I linger a bit, I think this is going to be fun. I am pleased to have you over! You have a really versatile blog. And thanks for the follow. I appreciate it. My pleasure entirely!! All the best to you and yours! Many thanks for ‘liking’ my blog post on May Angelou. Enjoyed your website. Absolutely my pleasure! Great piece! Your blog is magic land to me. You got a powerful pen! Thank you! Bless ya socks! FANKS! You are very kind. I’m glad you saw something you enjoyed. Have a lovely day. thank you! Have a joyous weekend! My absolute pleasure! Look forward to reading more. 🙂 To you and yours too mate. Bless ya socks! That is very kind of you to say. Yours too is great! Keep up the good work! What do you mean “sharper than an art teacher’s tongues”! I take exception to that, if you please. As an art teacher of seven years running, I have never once cut a student! Now, I have been wounded deeply by a fresh from art school high school teacher who told me I had skill but no talent. So… maybe there is some truth in your declaration. Thanks for stopping in to my baby blog. What does this “fresh from art school high school teacher” know? Upstart! You go show him/her. I was referring to all the art teachers I have ever has the pleasure of being taught by. You maybe different, but your upstart is of the same ilk it seems! Thanks for liking my post! Been poking around your blog. Good stuff. I’m sure you’re not short of followers, but now you have one more. Why fank you kind sir! Thak you for reading and following my blog. Very exciting reading here! My pleasure. FANKS to you too! All the best to you and yours. You, my dear, are too interesting a sort to pass up! I’ve just had a sneaky peek at yours and, my sister from another mister, it appears the gratefully received sentiment is mutual! A pleasure to meet your talented acquaintance. And you! Hope the world is smiling where you are! Although, when I click on you it says you are a phishing site! I do hope that isn’t true! Karma can be cruel you know! Hi, thanks for the follow …I really appreciate it. Gotta like someone with the honest humility and humor to confess to being a “full-time idiot with a heart”. All the best to you. Hey! Nice to meet you tooooo! Fank you. I hope to make that more so, soon! Thanks for your visit and follow to my; I’m glad you enjoyed it. I look forward to following yours as well. My pleasure! FANKS and nice to meet you. Just finished spending a great deal of time wandering through your twitter and wordpress sites. Very enjoyable experience. Looking forward to reading much more of your interesting imagination. Thanks for visiting and following my blog. Have an inspiring evening. FANKS! That’s very kind! Glad you found something worth looking at! I certainly did with yours. Hopefully you may find something you may like. Thanks for the like and follow on my blog. I’ve been through a similar “oh bugger it” journey this year! I look forward to having a good nosey around your site – loads on here! My pleasure! Hope you find something interesting. Hope the leap bears fruit! I just wanted to stop by and thank you for liking my poem on WordMusic. I truly appreciate it. The pleasure was all mine. Fank you fir dropping by and keep up the good work. All the best to you and yours. Welcome to planet Blog, continent Earth. I am extremely pleased to have you here and your follow has been reciprocated and appreciated. Carry on, and we will see you soon. Thanks. A pleasure to shake blog hands! Thanks very much for the follow. It’s great to see other poetry out in the world. I hope you continue to enjoy reading mine and I hope to see more of yours. Nice to meet you, Elizabeth. Great work! All the best to you and yours! Bula C.p., thank you for following my blog and for liking my (sole piece of good) poetry. I am (very) new to poetry and your pieces have opened my eyes to the fact that poems do not have to rhyme, they just need to have meaning (or not) 🙂 Thank you so much. if I could be so bold as to offer any advice, even though I am not a master by any means, find your voice by going with your gut. and practice by writing. if the topic feels right with a rhyming form then go for it. If that’s your beginning then you are off to a tremendous start. keep at it for sure! Fank you too! All the best to you and yours. Man, I thought I was a genre-hopping madman; you’re all over the place! Always good to hear from other “Full-time Idiots.” They used to call us Renaissance Men. Nice to meet a like-minded madman! So happy to have you following my blog. I do a lot of stage acting- 99% of it for free, more’s the pity! I’ll try to be eclectic enough to keep you interested! Thank you for liking my poem, Hippie Hill, on my blog, WordMusic. I truly appreciate it. Hi! thanks for stopping by & following! glad I found your blog, you have a lovely corner here! My pleasure, Ayeh! Fank you, as is yours! All the best for the coming year! Dressed up did you, must been a thrill to achieve the desired effect! i would like to thank you for dropping to have a read. My pleasure, you have a great site. My absolute pleasure! Keep up the great work! To place even the smallest smile upon another’s face is a great privelage and honour. May the light of love continually light your path. Thank you for stopping by my blog and following it. It’s greatly appreciated. My pleasure! You have a great site! Fanks for sharing! What an eclectic scope you have! Good luck as you fan out in all directions. Muchly ditto!!! All the best to you and yours! Thanks for the follow. I see you don’t let boundaries confine you and you do all sorts of works in the arts. I’m trying to branch out too. If I can offer any advice, and you don’t need to take it: don’t try. Just let go and flow! Sounds glib, but it makes it more enjoyable. Again, what works for me may not for others. You may want to ride a giant tortoise from Malaysia to Liverpool. Thank you for following, “From the Gross to the Subtle”. I apologize that it took me so long to get over to your blog. I am new to blogging and my original intention was to engage with my students. It’s been wonderful to see all the talent around! Your writing is prolific. I will be checking in to play more often! It is my pleasure! Great blog! From small seeds doth mighty oak trees grow, my friend! Your students will be better for it! FANKS, Mr Chasterson! Most kind. Hope the world finds you full of smiles! Great name!! And fantastic to your acquaintance. All the best to you and yours. That’s very kind of you. Thank you. Glad you like my attempt. All the best to you and yours.